Horror movies are so simple when there’s a clear-cut antagonist, someone like Jason Voorhees, Freddy Krueger, or Michael Myers to play the villain role. Sometimes, things aren’t quite so obvious, such as when zombies look like regular people in movies like Dead & Buried or when aliens take the form of other organisms such as in The Thing. And things get really complicated when the threat is completely ambiguous, as is the case with the newest sensation horror film It Follows. Way back in 1978, however, underdog horror writer/director Jeff Lieberman pondered what would happen if something that someone experienced in their past could affect their present state, using drugs as its example, and brought us Blue Sunshine. Blue Sunshine begins at a party with a man named Frannie (Richard Crystal from Amityville: The Evil Escapes) doing a spot-on Sinatra impression. Suddenly, one of the other guests playfully tugs at his hair and a wig comes off – Frannie is revealed to be bald. Frannie flees but comes back moments later and murders three women before being chased away by Jerry “Zippy” Zipkin (Galaxy of Terror’s Zalman King). Frannie runs into traffic and is hit by a truck, and Jerry is not only blamed for Frannie’s death, but for the murders of the three women back at the house. Jerry escapes from the cops and convinces one of his and Frannie’s friends named Alicia Sweeney (Deborah Winters from The Outing) to help him prove his innocence. While snooping around, Jerry learns about more murders that have been committed by bald psychopaths around the city and, with the help of Alicia, figures out that all of the killers had taken a potent form of LSD called Blue Sunshine that had been circulated at Stanford University ten years earlier. What started out as Jerry trying to prove his innocence turns into him uncovering a string of murders that haven’t yet been committed. Jerry has to save his and Alicia’s lives by racing against the clock and figuring out who else took the tainted drug so many years ago. Director Jeff Lieberman’s movies have run the entire horror gamut; he’s made a creature feature (Squirm), a slasher movie (Just Before Dawn), and even a horror comedy (Satan’s Little Helper). Blue Sunshine is kind of like his science fiction horror film, but it can also be considered his mystery thriller. It has the definite vibe of a De Palma-esque thriller, something along the lines of Body Double or Blow Out, but it also has many Cronenbergian qualities, possessing a similar overall feel to Scanners or The Brood. The funny thing is that Blue Sunshine was made a few years before any of these Brian De Palma or David Cronenberg films, making it truly ahead of its time despite looking like an obvious product of the seventies. And it does look very much like a product of the seventies. One of the reasons that Blue Sunshine looks dated is the cast. The bulk of the ensemble is made up of many smaller parts, and most of them are played by now-recognizable faces, actors who went on to bigger and better things in the decade to come. 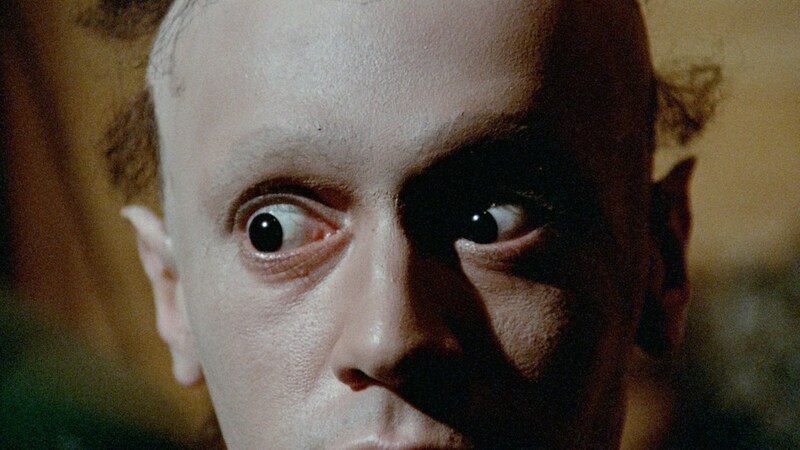 Robert Walden from Bloody Mama and Audrey Rose plays Jerry’s doctor friend who helps him figure out the connection between the Blue Sunshine and the murders. Charles Siebert, better known as Dr. Stanley Riverside on “Trapper John, M.D.,” plays a police detective. Mark Goddard, who became famous as Major Don West on “Lost in Space,” plays a politician who was exposed to the Blue Sunshine, and professional creature actor Ray Young from “Bigfoot and Wildboy” and “Salvage 1” plays his campaign manager. Even Alice Ghostley from “Designing Women” and Grease makes an appearance as a concerned neighbor. It may not seem like there’s a lot of star power in Blue Sunshine, but there are a lot of experienced actors in the cast. The main antagonist in Blue Sunshine is the drug that was taken by the killers so many years ago, but there is a trademark tell-all to the present day menaces that is pretty ingenious. 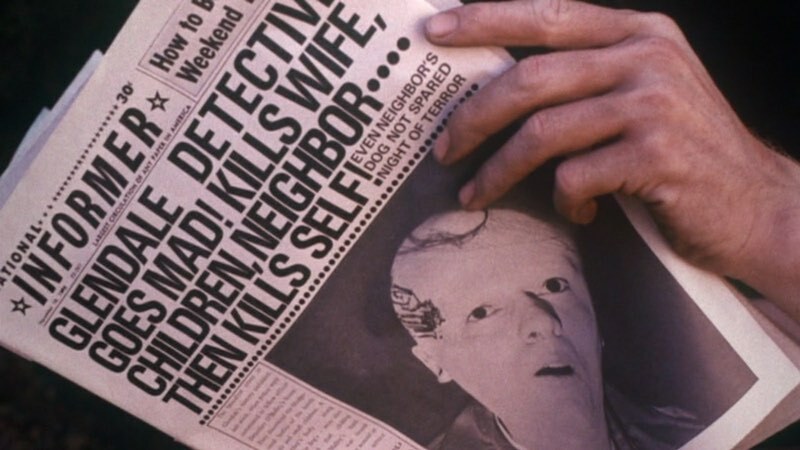 By making the killers lose their hair, Lieberman creates a thinly-veiled threat that is shown to the audience before it is shown to the characters, creating some classic Hitchcockian suspense. It also manufactures some fun red-herring moments; every killer is bald, but not every bald person is a killer, and the film plays with that fact quite a bit, making Jerry paranoid of anyone without hair – even department store mannequins – who might be a prospective murderer. Paranoia is a great filmic device for creating suspense and tension, and Blue Sunshine makes the most of it. In true seventies sci-fi/horror fashion, the score to Blue Sunshine is dynamic, dissonant, and aggressive. It was written by composer Charles Gross (Turner & Hooch, Punchline), and the music walks the line between a science fiction soundtrack and a mystery score without ever letting the viewer forget that the film is a horror movie. There’s a tiny little air of familiarity to some of the music, with Gross sneaking in bits and pieces of playground songs or Christmas carols that trick the viewer into playing a game of Name-That-Tune in their head, a tactic that subconsciously reinforces the whole acid flashback theme of the film. It’s so subtle that it may not have even been intentional, but it sure is effective. Horror movies are scariest when the threats take the viewer by surprise. The villain in Blue Sunshine can be anyone, at any time…as long as they took the right drugs back when they were in college.